As part of the Human Cancer Model Initiative (HCMI), a CSHL-led effort will establish up to 150 organoid models in one and a half years, contributing to a larger international effort to generate 1,000 new cancer models. Cold Spring Harbor, NY — Cold Spring Harbor Laboratory (CSHL) has been awarded a research subcontract by Leidos Biomedical Research to lead a Cancer Model Development Center (CMDC) for pancreatic, breast, colorectal, lung, liver and other upper-gastrointestinal cancers. The project is 100% supported by U.S. federal funds (NCI Contract No. HHSN261201500003I, Task Order Number HHSN26100008). CSHL Cancer Center Director Dr. David Tuveson and CSHL Research Director Dr. David Spector will lead the multinational collaborative effort with Dr. Hans Clevers of the Hubrecht Institute, Dr. Aldo Scarpa and Dr. Vincenzo Corbo of the ARC-Net Centre for Applied Research on Cancer at the University of Verona, Italy, and Dr. James Crawford of Northwell Health and Dr. Peter Gregersen of Northwell’s Feinstein Institute for Medical Research. 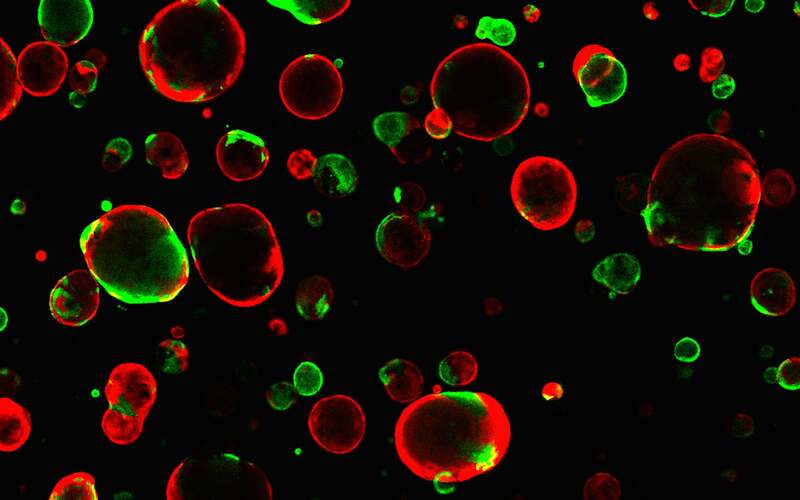 The new center will generate three-dimensional organoid culture systems of cancers–next-generation models that improve upon current two-dimensional model systems used to study cancers and develop therapeutics. “CSHL is excited to lead this international team to develop more effective research models for cancer that can be shared broadly with the scientific community in order to accelerate discoveries for improved diagnosis and treatments for cancer patients,” said Dr. Tuveson. Dr. Priya Sridevi from CSHL is the lead project manager for this CMDC. Under the contract, the CSHL-led CMDC will establish up to 150 organoid models in one and a half years, contributing to a larger international effort to generate 1,000 new cancer models. The Human Cancer Model Initiative (HCMI) was announced in July 2016 by the National Cancer Institute, Wellcome Trust Sanger Institute in the United Kingdom (UK), Cancer Research UK, and the foundation Hubrecht Organoid Technology. As part of NCI’s Precision Medicine Initiative in Oncology, this new project is timed to take advantage of the latest cell culture and genomic sequencing techniques to create models that are representative of patient tumors and annotated with genomic and clinical information. This effort is a first step toward learning how to use these tools to design individualized treatments. Dr. Tuveson, the project’s principal investigator, led an effort to develop pancreas cancer organoids, establishing CSHL as an instructional site offering courses in organoid development to the professional scientific community worldwide. Organoids can be established from healthy human tissue as well as from a variety of tumor tissue types. The power of the organoid is that it faithfully recapitulates the tissue from which it is derived. It can be genetically manipulated using technologies like shRNA (short hairpin RNA) that can turn genes on and off, or the revolutionary gene-editing tool CRISPR-Cas9. Moreover, organoid models are amenable to drug screening approaches so they can be used to validate therapeutics. “Northwell Health and the Feinstein Institute for Medical Research are very excited to be part of this international effort, as it will help lay the foundation for new standards in clinical care that incorporate ex vivo studies of cancer tissues to guide cancer therapies,” said Dr. Gregersen, Professor and Director of the Feinstein Institute’s Boas Center for Genomics and Human Genetics. CSHL entered into a strategic alliance with Northwell Health in April 2015, with the objective of providing CSHL researchers access to Northwell’s growing network of clinical services encompassing more than 16,000 new cancer cases annually. For CSHL and Northwell Health, this CMDC project demonstrates the power of their strategic affiliation to establish closer links between research and the clinic for the benefit of cancer patients. The multinational HCMI effort aims to speed up development of new models and to make research more efficient by avoiding unnecessary duplication of scientific efforts. Genetic sequencing data from the tumors and derived models will be available to researchers, along with clinical data about the patients and their tumors. All information related to the models will be shared in a way that protects patient privacy. The goal is to give scientists around the world access to the best resources to be able to easily study all types of cancer. These new cell models could transform how we study cancer and could help to develop better treatments for patients. Scientists will make the models using tissue from patients with different types of cancer, potentially including rare and pediatric cancers, which are often under-represented or not available at all in existing cell-line collections. The new models will have the potential to reflect the biology of tumors more accurately and better represent the overall cancer patient population. Northwell Health is New York State’s largest health care provider and private employer, with 21 hospitals and over 550 outpatient facilities. We care for more than two million people annually in the metro New York area and beyond, thanks to philanthropic support from our communities. Our 61,000 employees—15,000+ nurses and nearly 3,400 physicians, including nearly 2,700 members of Northwell Health Physician Partners—are working to change health care for the better. We’re making breakthroughs in medicine at the Feinstein Institute. We’re training the next generation of medical professionals at the visionary Hofstra Northwell School of Medicine and the School of Graduate Nursing and Physician Assistant Studies. And we offer health insurance through CareConnect. For information on our more than 100 medical specialties, visit Northwell.edu.